Character can be defined as the collection of core values by an individual that leads to moral commitment and action, and encompasses a boy’s personal qualities, values, and outlook. Used broadly, citizenship means the boy’s relationship to others. He comes to learn of his obligations to other people, to the society he lives in, and to the government that presides over that society. The methods are designed to accomplish the aims. Thus it is important that you know and use the methods of Boy Scouting. Other methods are good, but they may bring different results—results quite different than we are seeking. Ideals: The ideals of Scouting are spelled out in the Scout Oath and Law, motto, and slogan. The Scout measures himself against these ideals and continually tries to improve. The goals are high, and as he reaches for them, he has some control over what he becomes. ‘‘Show Scout spirit,’’ a requirement for rank advancement, means living up to these ideals. Patrols: The patrol method gives Scouts an experience in group living and participating citizenship. It places a certain amount of responsibility on young shoulders and teaches boys how to accept it. The patrol method allows Scouts to act in small groups where they can easily relate to each other. These small groups determine troop activities through their elected representatives. Outdoors: Boy Scouting is designed to take place outdoors. It is in the outdoors that Scouts share responsibilities and learn to live with each other. It is here that the skills and activities practiced at troop meetings come alive with purpose. Being close to nature helps Scouts gain an appreciation for God’s handiwork and humankind’s place in it. The outdoors is the laboratory for Scouts to learn ecology and practice conservation of nature’s resources. Advancement: Scouting provides a series of surmountable obstacles and steps to overcome them through the advancement method. 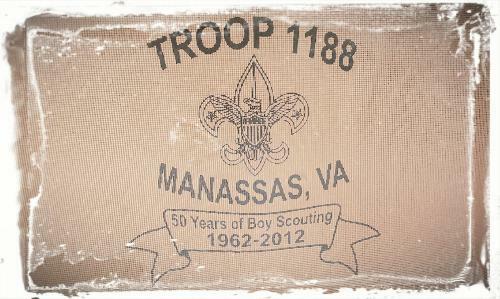 The Scout plans his advancement and, by participating in the troop program, progresses as he overcomes each challenge. The Scout is rewarded for each achievement, which helps him gain self-confidence. The steps in the advancement system help him grow in self-reliance and the ability to help others. Adult Association: Boys learn from the example set by their adult leaders. An association with adults of high character is encouraged at this stage of a young man’s development. Personal Growth: As Scouts plan their activity and progress toward their goals, they experience personal growth. The Good Turn concept is a major part of the personal growth method of Scouting. Boys grow as they participate in community service projects and do Good Turns for others. There probably is no device so successful in developing a basis for personal growth as the daily Good Turn. The religious emblems program is also a large part of the personal growth method. Frequent conferences with his Scoutmaster help each Scout to determine his growth toward Scouting’s aims. Leadership Development: Boy Scouting encourages boys to learn and practice leadership skills. Every Scout has the opportunity to participate in both shared and total leadership situations. Understanding the concepts of leadership helps a boy accept the leadership roles of others and guides him toward the citizenship aim of Scouting. Uniform: The uniform makes the Scout troop visible as a force for good and creates a positive youth image in the community. Boy Scouting is an action program, and wearing the uniform is an action that shows each Scout’s commitment to the aims and purposes of Scouting. The uniform gives the Scout identity in a world brotherhood of youth who believe in the same ideals. The uniform is practical attire for Scout activities, and provides a way for Scouts to wear the badges that show what they have accomplished. With more than 2.7 million youth members, the Boy Scouts of America is one of America’s most popular youth organizations. Boys join Scouting for one primary reason—to have fun! A key to Scouting’s ongoing success is in the fact that the movement recognizes that a boy’s perception of what is fun is constantly changing. In response, the Scouting program has expanded through the years to continuously offer activities and programs that challenge boys both physically and intellectually. For Scouts today, the Scouting difference is that these boys get the opportunity to experience and explore life to its fullest. Perhaps more importantly, while boys have great experiences in Scouting, they gain much more than fun. Scouts learn lessons about life, and the value of being a person of character and integrity. These lessons come through spending significant time and sharing experiences with families, Scout leaders, and fellow Scouts.